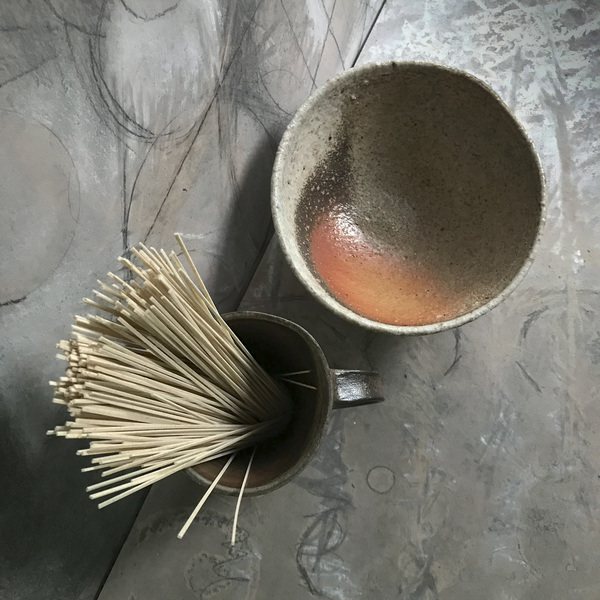 I went to the studio dreaming of soba noodle soup. I photographed dried noodles in hopes that a recipe would appear like a new wildflower in the woods. Instead the recipe arrived out of the blue in my email like a new poet. I didn't find time to go to the store to buy the required ingredients but somehow the combination of available things from our pantry in a different order created a delicious soup. This page contains a single entry by Catherine White published on December 11, 2018 7:51 PM. #10 decembrance 2018 was the previous entry in this blog. #12 decembrance 2018 is the next entry in this blog.